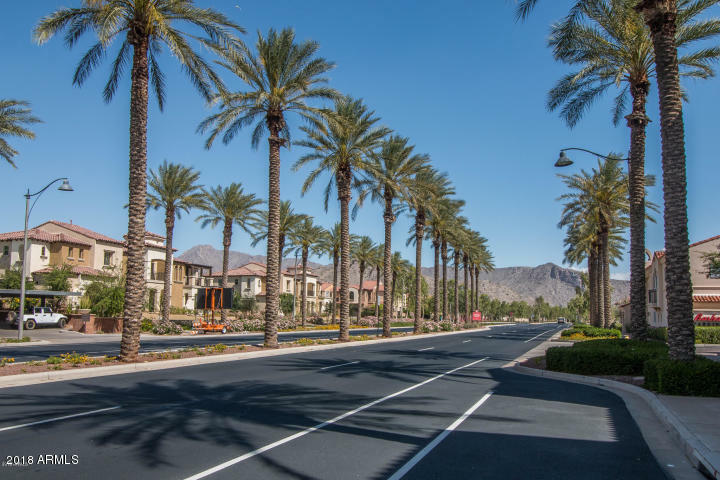 All VERRADO PARCEL 3.308 homes currently listed for sale in Buckeye as of 04/19/2019 are shown below. You can change the search criteria at any time by pressing the 'Change Search' button below. "A Home That Has It ALL! Including SOLAR! 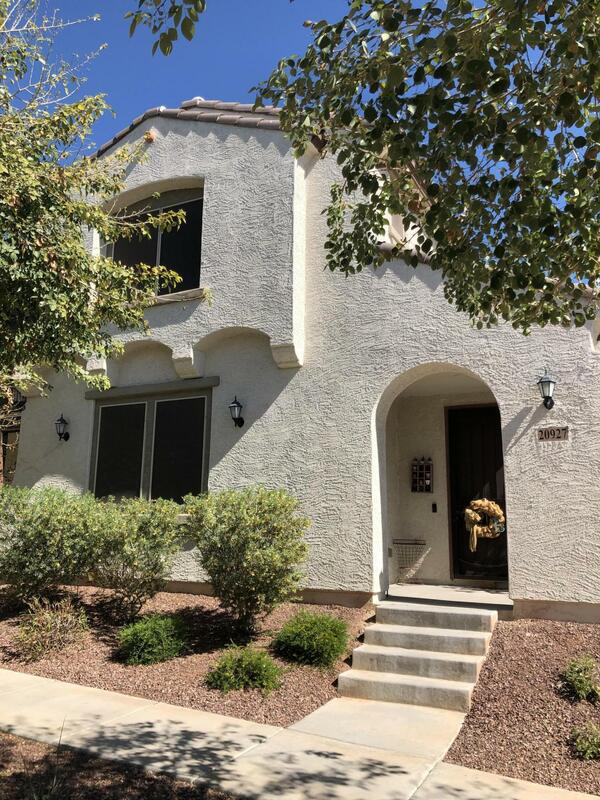 Highly Sought After Corner Lot... Gorgeous 4bed-3bath, 3 car garage home in Verrado! Walking distance to Heritage Elementary and Heritage Swim Park. Upgrades in all the right places! Including upgraded; carpet padding, open banister in stairwell, white chocolate glazed cabinets/all doors and drawers are self closing, 220 line installed, dedicated line outlet in the garage with its own breaker and Barn Door in Master EnSuite! Large snail shower in mast"
"Stunning 4 bed, 3 bath Buckeye home offering all that you have been looking for. Your kitchen will be centered around entertaining friends and family! A large island, granite countertops, staggered cabinets, pendant lighting, and a breakfast bar. There is stunning tile flooring in just the right places, enhancing the living space! Your master suite has an oversized walk-in closet; you will have room for everything! 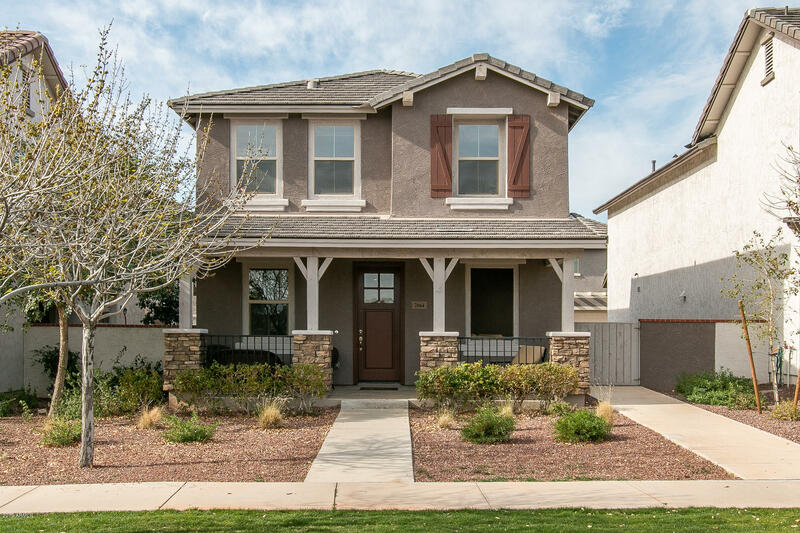 Step out to your back patio that has beautiful pavers and a pergola, creating a r"
"Beautiful Majestic floor plan is situated on a corner lot within walking distance to Heritage Water Park and schools. This home shows like a model home. Lightly lived in. The upgraded kitchen has beautiful maple staggered cabinets, granite, glass backsplash and stainless steel appliances. Upgraded tile throughout. The large master suite upstairs has a turtle shower, double vanity and huge walk in closet with natural light. Come and check out the ''secret'' side yard too with its own full size ga"
"You'll love this nicely upgraded former model home with 3 oversized bedrooms & 2.5 baths in 2212 SqFt. 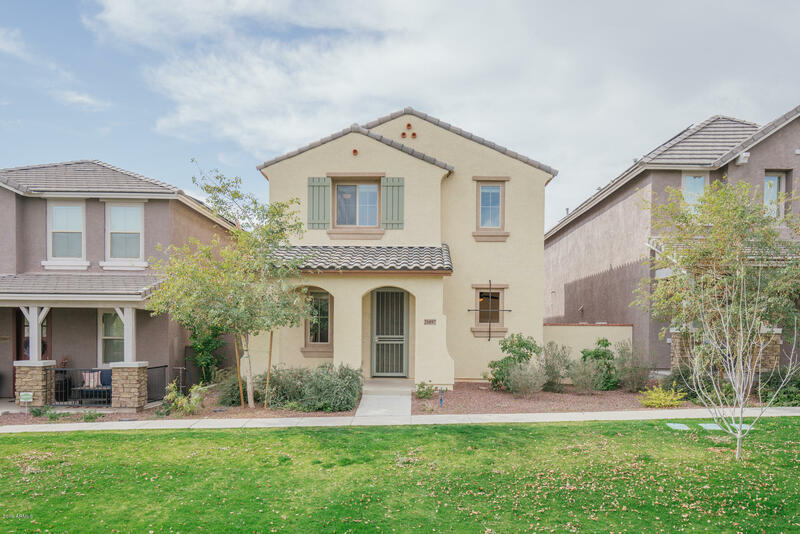 Great location within amenity-filled Verrado, walking distance to schools & pools! The main level great room has sliding doors that lead out to the extensive paver patio, perfect for indoor/outdoor entertaining! The kitchen is nicely finished with staggered cabinetry, granite countertops, glass tile backsplash, stainless appliances (including gas range), breakfast bar & pantry. 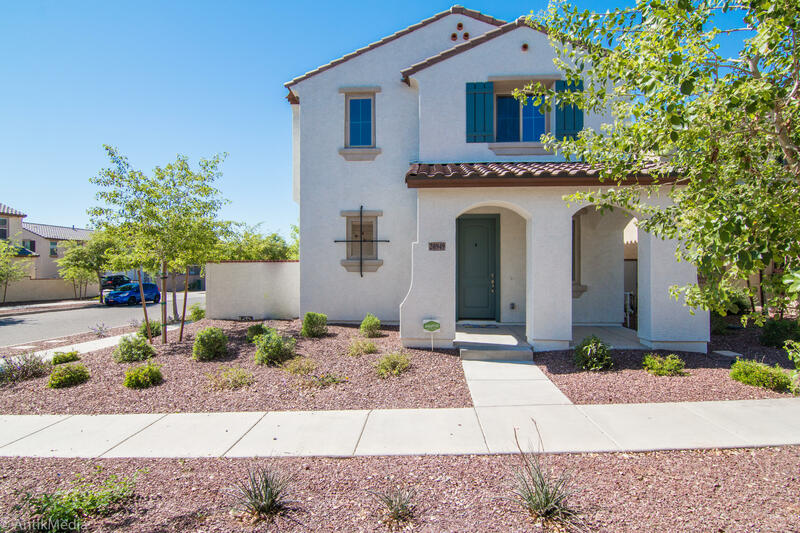 Bedrooms & l"
"Built in 2015, this Buckeye two-story offers stainless steel appliances, granite kitchen counter tops, and a two-car garage. A golf course, clubhouse, gym, swimming pool, park, and sports courts are part of the HOA.Home comes with a 30-day buyback guarantee. Terms and conditions apply." "BACK ON THE MARKET ...''GREAT LOCATION!!! 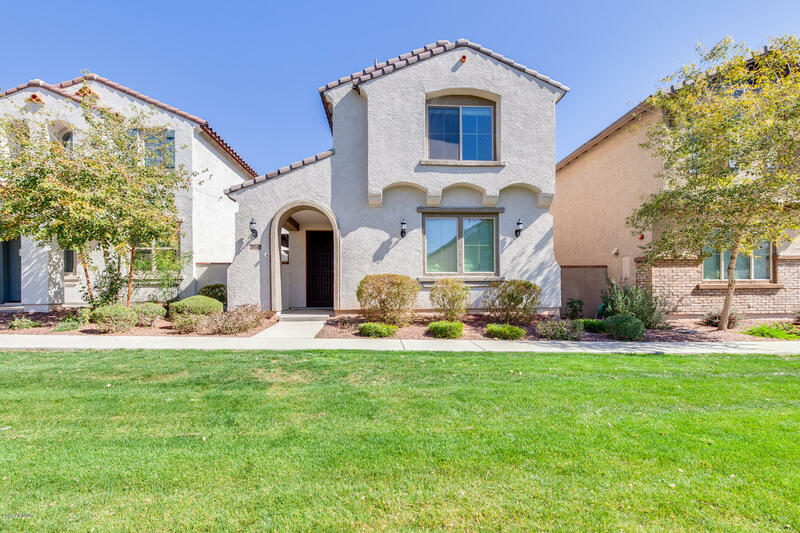 2 story beautiful home located just right for school access and community pools! Situated in a grassed courtyard setting. Extra large his and hers separate walk in closets! Granite kitchen counters and tile backsplash. Snail shower in Master bath. Built in fire pit in backyard. Community Gym included in HOA. 75 parks , 4 top rated schools. Neighborhood market and restaurants on main st.. Wonderful sought after Verrado community.."